Spring 2014 Auditions Are Coming! 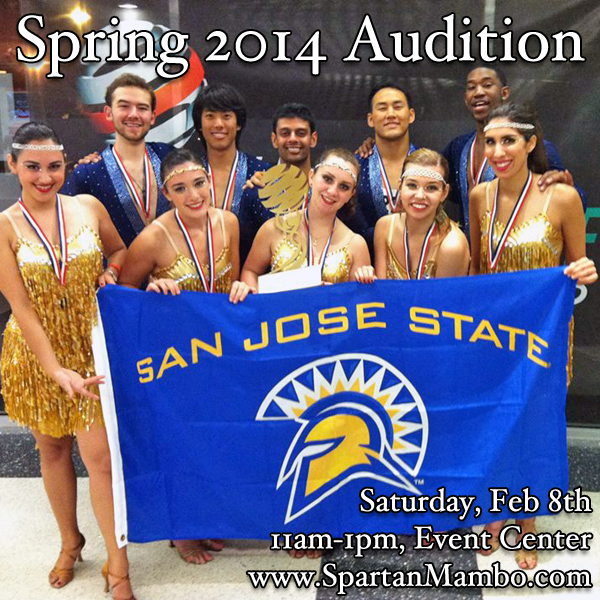 Auditions for the Spring 2014 season of Spartan Mambo are coming! We are looking for a few new dancers to join our team this semester, and represent SJSU at the 7th Annual College Salsa Congress! The audition will be on Saturday, February 8th from 11am – 1pm at the Event Center. You can find out more info on our Audition Page, and you can also come talk to our current members at the Student Org Fair next Wednesday, February 5th between 11am – 2pm.